Wheels: 16 Machine-Finished Alloy w/Black Inserts, VSA Electronic Stability Control (ESC), Variable Intermittent Wipers, Urethane Gear Shift Knob, Trip Computer, Transmission: Continuously Variable (CVT) -inc: dual-mode paddle shifters, ECON button, ECON mode indicator, shift lever position indicator, sequential mode gear selection indicator and shift up/down indicator, Torsion Beam Rear Suspension w/Coil Springs, Tires: P185/55R16 83H AS, Tailgate/Rear Door Lock Included w/Power Door Locks, Strut Front Suspension w/Coil Springs. This Honda Fit has a dependable Regular Unleaded I-4 1.5 L/91 engine powering this Automatic transmission. * Experience a Fully-Loaded Honda Fit EX *Steel Spare Wheel, Single Stainless Steel Exhaust, Side Impact Beams, Seats w/Cloth Back Material, Remote Releases -Inc: Mechanical Fuel, Remote Keyless Entry w/Integrated Key Transmitter, Illuminated Entry and Panic Button, Rear Cupholder, Rear Child Safety Locks, Radio: AM/FM Audio System -inc: 180 watts, 6 speakers, Bluetooth HandsFreeLink, Bluetooth streaming audio, Radio Data System (RDS), Speed-Sensitive Volume Control (SVC), front and center console USB smartphone/audio interface, 7 display audio w/high-resolution WVGA (800x480) electrostatic touch-screen and customizable feature settings, Apple CarPlay, Android Auto, HondaLink, Pandora compatibility, SMS text message function and SiriusXM radio, Radio w/Seek-Scan, Clock and Steering Wheel Controls, Proximity Key For Doors And Push Button Start, Power Rear Windows and Fixed 3rd Row Windows, Power Door Locks w/Autolock Feature, Power 1st Row Windows w/Driver 1-Touch Up/Down, Perimeter Alarm, Outside Temp Gauge, Outboard Front Lap And Shoulder Safety Belts -inc: Rear Center 3 Point and Pretensioners, Manual Tilt/Telescoping Steering Column, Manual Air Conditioning, Manual Adjustable Rear Head Restraints. * Stop By Today *You've earned this- stop by Moss Used Super Store located at 1545 SE Evangeline Thruway, Lafayette, LA 70508 to make this car yours today! Wheels: 17 Alloy, Valet Function, Urethane Gear Shift Knob, Trip Computer, Transmission: Continuously Variable w/Sport Mode, Tires: P225/65R17 102T All-Season, Tailgate/Rear Door Lock Included w/Power Door Locks, Systems Monitor, Strut Front Suspension w/Coil Springs, Steel Spare Wheel. This Honda CR-V has a powerful Regular Unleaded I-4 2.4 L/144 engine powering this Variable transmission. *This Honda CR-V EX Has Everything You Want *Speed Sensitive Variable Intermittent Wipers, Sliding Front Center Armrest and Rear Center Armrest, Single Stainless Steel Exhaust, Side Impact Beams, Seats w/Premium Cloth Back Material, Roll-Up Cargo Cover, Remote Releases -Inc: Mechanical Fuel, Remote Keyless Entry w/Integrated Key Transmitter, Illuminated Entry, Illuminated Ignition Switch and Panic Button, Rear Cupholder, Rear Child Safety Locks, Radio: AM/FM/CD Audio System w/6 Speakers -inc: 160-Watts, 7 display w/high-resolution WVGA (800x480) electrostatic touch-screen, customizable feature settings, Bluetooth streaming audio, Pandora Internet radio compatibility, USB/display audio interfaces, MP3/Windows Media Audio (WMA) playback capability, Radio Data System (RDS) and Speed-Sensitive Volume Control (SVC), Radio w/Seek-Scan, Clock and Steering Wheel Controls, Proximity Key For Doors And Push Button Start, Programmable Aero-Composite Halogen Daytime Running Headlamps w/Delay-Off, Power Rear Windows and Fixed 3rd Row Windows, Power Door Locks w/Autolock Feature, Power 1st Row Windows w/Driver 1-Touch Up/Down, Perimeter Alarm, Outside Temp Gauge, Outboard Front Lap And Shoulder Safety Belts -inc: Rear Center 3 Point, Height Adjusters and Pretensioners. * Critics Agree*IIHS Top Safety Pick+, ALG Residual Value Awards, KBB.com Brand Image Awards. * Stop By Today *Test drive this must-see, must-drive, must-own beauty today at Moss Used Super Store, 1545 SE Evangeline Thruway, Lafayette, LA 70508. Window Grid Antenna, Wheels: 18 Alloy, VSA Electronic Stability Control (ESC), Valet Function, Trunk/Hatch Auto-Latch, Trip Computer, Transmission: 6-Speed Automatic, Transmission w/Driver Selectable Mode, Tires: P245/60R18 105H AS, Tire Specific Low Tire Pressure Warning. This Honda Pilot has a dependable Regular Unleaded V-6 3.5 L/212 engine powering this Automatic transmission. *This Honda Pilot EX-L Has Everything You Want *Tailgate/Rear Door Lock Included w/Power Door Locks, Systems Monitor, Strut Front Suspension w/Coil Springs, Steel Spare Wheel, Speed Sensitive Variable Intermittent Wipers, SiriusXM Radio -inc: SiriusXM services require a subscription after any trial period, If you decide to continue your SiriusXM service at the end of your trial subscription, the plan you choose will automatically renew and bill at then-current rates until you call SiriusXM at 1-866-635-2349 to cancel, See our Customer Agreement for complete terms at www.siriusxm.com, Fees and programming subject to change, XM satellite service is available only to those at least 18 years and older in the 48 contiguous United States and D.C, Single Stainless Steel Exhaust, Side Impact Beams, Remote Releases -Inc: Power Cargo Access and Mechanical Fuel, Remote Keyless Entry w/Integrated Key Transmitter, Illuminated Entry and Panic Button, Rear HVAC w/Separate Controls, Rear Cupholder, Rear Child Safety Locks, Radio: AM/FM Audio System -inc: 225-Watt, 7 speakers including subwoofer, Bluetooth HandsFreeLink, Bluetooth streaming audio, MP3/auxiliary input jack, Radio Data System (RDS), Speed-Sensitive Volume Control (SVC), USB smartphone and audio interface w/1.5-Amp and 2.5-Amp ports in front and 2.5-Amp port in center console, 8 display audio w/high-resolution WVGA (800x480) electrostatic touch-screen and customizable feature settings, HondaLink, Apple CarPlay integration, Android Auto integration, SMS text message function and Pandora compatibility, Radio w/Seek-Scan, Clock and Steering Wheel Controls, Proximity Key For Doors And Push Button Start, Power Rear Windows and Fixed 3rd Row Windows, Power Liftgate Rear Cargo Access, Power Door Locks w/Autolock Feature, Power 1st Row Windows w/Driver And Passenger 1-Touch Up/Down. * Stop By Today *Live a little- stop by Moss Used Super Store located at 1545 SE Evangeline Thruway, Lafayette, LA 70508 to make this car yours today! Wheels: 17 Alloy, VSA Electronic Stability Control (ESC), Urethane Gear Shift Knob, Trip Computer, Transmission: Continuously Variable w/Sport Mode, Torsion Beam Rear Suspension w/Coil Springs, Tires: P215/55R17 94V M&S AS, Tailgate/Rear Door Lock Included w/Power Door Locks, Strut Front Suspension w/Coil Springs, Steel Spare Wheel. This Honda HR-V has a dependable Regular Unleaded I-4 1.8 L/110 engine powering this Variable transmission. * Experience a Fully-Loaded Honda HR-V LX *Sliding Front Center Armrest, Single Stainless Steel Exhaust, Side Impact Beams, Seats w/Cloth Back Material, Remote Releases -Inc: Mechanical Fuel, Remote Keyless Entry w/Integrated Key Transmitter, Illuminated Entry and Panic Button, Rear Cupholder, Rear Child Safety Locks, Radio: AM/FM/CD Audio System (160 Watts) -inc: 4 speakers, 5 color LCD screen, MP3/auxiliary input jack, Bluetooth streaming audio, MP3/Windows Media Audio (WMA) playback capability, Radio Data System (RDS), Speed-Sensitive Volume Control (SVC), Bluetooth HandsFreeLink and a single front USB audio interface, Radio w/Seek-Scan, Clock and Steering Wheel Controls, Power Rear Windows and Fixed 3rd Row Windows, Power Door Locks w/Autolock Feature, Power 1st Row Windows w/Driver 1-Touch Up/Down, Permanent Locking Hubs, Perimeter Alarm, Outside Temp Gauge, Outboard Front Lap And Shoulder Safety Belts -inc: Rear Center 3 Point, Height Adjusters and Pretensioners, Manual Tilt/Telescoping Steering Column, Manual Air Conditioning, Manual Adjustable Front Head Restraints and Manual Adjustable Rear Head Restraints. * Critics Agree*ALG Residual Value Awards, Green Car Journal 2016 Green SUV of the Year, KBB.com Brand Image Awards. * Stop By Today *Live a little- stop by Moss Used Super Store located at 1545 SE Evangeline Thruway, Lafayette, LA 70508 to make this car yours today! Wheels: 16 w/Full Covers, VSA Electronic Stability Control (ESC), Valet Function, Trunk Rear Cargo Access, Transmission: Continuously Variable (CVT), Tires: P215/55R16 93H AS, Systems Monitor, Strut Front Suspension w/Coil Springs, Steel Spare Wheel, Sliding Front Center Armrest. This Honda Civic Sedan has a strong Regular Unleaded I-4 2.0 L/122 engine powering this Variable transmission. *These Packages Will Make Your Honda Civic Sedan LX The Envy of Your Friends *Single Stainless Steel Exhaust, Side Impact Beams, Seats w/Cloth Back Material, Remote Releases -Inc: Power Cargo Access, Remote Keyless Entry w/Integrated Key Transmitter, Illuminated Entry and Panic Button, Reclining Front Bucket Seats -inc: driver seat manual height adjustment and adjustable head restraints, Rear Cupholder, Rear Child Safety Locks, Radio: 160-Watt AM/FM Audio System -inc: 4 speakers, 5-inch color LCD screen, Bluetooth HandsFreeLink, Bluetooth streaming audio, radio data system (RDS), speed-sensitive volume control (SVC), 1.0-amp USB audio interface port in front, illuminated steering wheel-mounted audio controls and integrated rear-window antenna, Radio w/Seek-Scan and Clock, Power Rear Windows, Power Fuel Flap Locking Type, Power Door Locks w/Autolock Feature, Power 1st Row Windows w/Driver And Passenger 1-Touch Up/Down, Perimeter Alarm, Outside Temp Gauge, Outboard Front Lap And Shoulder Safety Belts -inc: Rear Center 3 Point, Height Adjusters and Pretensioners, Multi-Link Rear Suspension w/Coil Springs, Metal-Look Gear Shift Knob, Manual Tilt/Telescoping Steering Column. * Visit Us Today *For a must-own Honda Civic Sedan come see us at Moss Used Super Store, 1545 SE Evangeline Thruway, Lafayette, LA 70508. Just minutes away! Wheels: 18 Alloy, Wheels w/Machined w/Painted Accents Accents, VSA Electronic Stability Control (ESC), Valet Function, Trip Computer, Transmission: Continuously Variable, Transmission w/Driver Selectable Mode and Sequential Shift Control w/Steering Wheel Controls, Tires: P235/40R18 91W AS, Systems Monitor, Strut Front Suspension w/Coil Springs. This Honda Civic Hatchback has a dependable Intercooled Turbo Premium Unleaded I-4 1.5 L/91 engine powering this Variable transmission. * Experience a Fully-Loaded Honda Civic Hatchback Sport Touring *Steel Spare Wheel, Speed Sensitive Rain Detecting Variable Intermittent Wipers, Sliding Front Center Armrest and Rear Center Armrest, Single Stainless Steel Exhaust w/Chrome Tailpipe Finisher, Side Impact Beams, Seats w/Leatherette Back Material, Roll-Up Cargo Cover, Rocker Panel Extensions, Remote Releases -Inc: Power Cargo Access, Remote Keyless Entry w/Integrated Key Transmitter, Illuminated Entry, Illuminated Ignition Switch and Panic Button, Redundant Digital Speedometer, Reclining Heated Front Bucket Seats -inc: driver's seat w/8-way power adjustment, passenger's seat 4-way power adjustment and adjustable head restraints, Rear Cupholder, Rear Child Safety Locks, Radio: 540-Watt AM/FM/HD/SiriusXM Premium Audio -inc: 11 speakers, subwoofer, 7-inch display w/high-resolution WVGA (800x480) electrostatic touch-screen and customizable feature settings, Honda Satellite-Linked Navigation System w/voice recognition, Honda HD digital traffic, turn-by-turn directions, compass and Song By Voice (SBV), Bluetooth HandsFreeLink, Bluetooth streaming audio, radio data system (RDS), speed-sensitive volume control (SVC), 1.5-amp USB smartphone/audio interface port in front, 1.0-amp USB audio interface port in center console, HondaLink, Apple CarPlay integration, Android Auto integration, Pandora compatibility, SMS text message function, illuminated steering wheel-mounted audio controls and navigation controls and fin-type roof-mounted antenna, Radio w/Seek-Scan, Clock, Voice Activation and External Memory Control, Proximity Key For Doors And Push Button Start, Power Rear Windows, Power Fuel Flap Locking Type, Power Door Locks w/Autolock Feature. 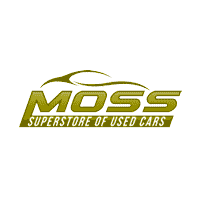 * Stop By Today *Live a little- stop by Moss Used Super Store located at 1545 SE Evangeline Thruway, Lafayette, LA 70508 to make this car yours today!